Today I’m excited to announce the launch of our latest gaming mouse, the Logitech Optical Gaming Mouse G400. It is the successor to the MX518, our best-selling gaming mouse ever. When we started working on the G400, we had only one goal in mind – to take everything that was right with the MX518 and make it even better. We were very careful not to mess with the shape, tracking consistency, button layout, or legendary durability that millions of customers have grown to love and rely upon over the years – we even kept the suggested retail price the same. All we wanted to do was make a legendary FPS gaming mouse work even better. To accomplish this, we started by upgrading the 1800 DPI sensor to a higher-resolution 3600 DPI version. This makes it possible to accomplish high-speed turns without wide hand sweeps or losing fidelity by turning up cursor speed in the Windows control panel. DPI levels are still adjustable on the fly (to 400, 800, 1800, and now 3600 DPI) with no software required. And since we’re using an upgraded version of the MX518 sensor, you still get the same tracking consistency (<0.5% cursor to hand movement variance at up to 140 IPS, depending on surface) you’ve come to expect from the current product. Next, we increased the report rate from 125 to 1000 reports per second. This is as fast as USB can communicate, and it means that all movement and button clicks are interpreted by the computer as close to real-time as is possible – so there’s never any lag between your hand movements and what you’re seeing on the screen. And to help you move the mouse more easily, we also changed the USB cable – making it thinner and 25% lighter. The last major change is to the optional button programming software. Even though the mouse works great out of the box with no software whatsoever, we know that many of our users like the extra edge our button and tracking configuration capabilities can give them. That’s why we’ve integrated the G400 into the same software used to program the G-Series keyboards and the Logitech G13 Advanced Gameboard – so you can create a macro once and use it on either your G-Series keyboard or your G400 Mouse. This change gives G400 users access to Logitech Gaming Software’s easy-to-use drag and drop interface, as well as its robust automatic game detection, macro, and scripting capabilities. Logitech Gaming Software v8.0 includes profiles for 210 games, and creating new profiles for games that aren’t on our list is quick and easy. The Logitech Optical Gaming Mouse G400 will retail for $49.99 and will be available in the US at Best Buy beginning June 19, elsewhere in the US in early to mid July, and in the rest of the world beginning in mid-July. For more information, please visit the product page. And feel free to let us know what you think in the comments section. « Hate juggling your laptop and accessories when you’re typing on the couch? I see a lot of pretty mice around but never want to leave my 518 but now i see what will be next, if i ever feel the need to replace my 518 that is. hawwwt! I’m sorry MX518 you just got benched. I’m liking the new colour scheme too. Brilliant! I bought an MX518 many years ago and while I’ve bought many others since, every time I go back to it on the other computer I’m impressed. It’s still like new, and the cheapest I’ve ever bought. I will definitely buy one of these. I have the MX 518 is a great mouse. The wheel on the G400 is the same as the one on the MX518. It is not a tilt wheel. Does it have prediction/angle snapping? Angle snapping is present in this sensor at the same level as the MX518. See, the problem with the mice that you guys over at Logitech make is that they are way to good. They last for years, and so when an updated product comes out, people think “Hmm, looks promising. I guess that will be my next mouse when this one dies.” Problem is, they don’t die. Finally there is a successor for the best gaming mouse ever made! I’d like to know what sensor the mouse features. 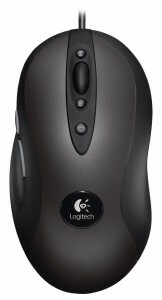 Is it an AVAGO ADNS-3090 or its logitech exclusive version ? Or a totally new one ? It is an upgraded version of the same sensor we used in the 1800 DPI MX518. The top and bottom case are the same as the 1800 DPI MX518, and therefore the screw bosses are in the same place. The G500, G700, and G9x all have tilt wheel functionality, so we have you covered there. The vast majority of people we talked to and consumer reviews we read indicated that the non-tilt wheel was preferable for this product. While the cable is thinner and lighter, it is absolutely not weaker. It passes all of our very rigorous bend, pull, and wear tests, plus we did quite a bit of work to reinforce the cable at its entry point into the mouse so that it will be more durable. Finally, the G400 is full-speed USB (up to 1ms report rate) as opposed to the low-speed USB (8ms report rate) MX518 – which is an important change to the functionality of the product. Is there any way angle snapping can be turned off or removed? As I mentioned before, like with the MX518 angle snapping cannot be disabled. As happy as I am to have something new to buy when this mx518 breaks, if ever, it really doesn’t offer anything that could make me change to it with a working mx518 in my hand. This is coming from someone who is NOT some super-serious FPS gamer who needs the tiniest bits of speed, so most of these upgrades are lost on me, like on many others. Also no DENTS just how do you expect to sell this as a successor? Still no ambidextrous/left handed gaming mice? I acknowledge that we are in the minority but I’m still very disappointed. I think it’s noteworthy that your last ambidextrous gaming mouse, G3 never had a “successor”. Surely you know the numbers better than I do thanks to your surveys and actual sale numbers, but the demand for such a model cannot be THAT low, seeing that many companies (except our beloved Logitech) offer such “claw grip” mice. Why not create a new model, with the name G300 or whatever, with the shape of G3 with an improved sensor and high DPI? Many apologies for this random rant instead of commenting on G400, which I’m sure will be a well received product. I completely understood what you were getting at, which is why I promoted your previous comment to the live page. It is commentary like this that helps us to determine what new products to develop. And the discussion is healthy – we recognize not all of our products are right for all gamers, so we try to make things that make as many people happy as possible. So thanks for giving us your feedback – it really is helpful. That’s excellent. I have been a loyal mx-518 and G5 user (I have owned maybe 6 logitech gaming mice). Sometimes I play intense FPS and have a tendancy to slamm my mouse, it’s really a reflex, I wish I didn’t. My original 518 handled it for years but subsequent ones break the instant I give them a hit. Can you guys please develop a G400 ultra tough that can handle foolish ragers like me? Ooh Logitech Gaming Software v8.0. Where can we get that? Version 7 is a bit feature poor. LGS 8.0 is available for download now. You can either manually select your device from the downloads page or run our automatic detection software. What will be the default dpi if you aren’t using the drivers? Out of the box, the mouse will start at 800 DPI – just like the MX518. The DPI up/down buttons will allow you to select 400, 800, 1800, or 3600 DPI without installing any software. Not ecstatic, but it’s good to see the MX5xx slowly improving. Personally I find not only is it my preferred mouse for gaming, but also for work thanks to the 8 buttons (works beautifully for expose and dashboard on a mac!). There is not a physical switch to change the report rate. It is modifiable through software to 125, 250, 500, or 1000 Hz. I see. Do you post on ESReality as well? Thanks for the suggestions – we will keep them in mind as we develop future products. Lovely to see a true successor to the 518. If that mouse had gone EOL without this, I would have been in trouble. The G500 had the right idea with the bean shape, but was unfortunately ruined by that horrid wheel. I am so glad to see Logitech resisted the urge to ruin the G400 with a rediculously multifunctional wheel. The simple durable nature of the 518 scrollwheel was perfect for FPS gaming. I use the middle click for melee attacks, and it has withstood years of violent smashing. I also aprove of the paint scheme, matches nicely with the gunmetal of the G15 v2. You say the 518 is Logitechs most sold gaming mouse, what is the most sold gaming keyboard? Thanks for your very kind remarks! When you’re working on updating a product as beloved as the MX518, it’s always nerve-wracking deciding which features to change and which to leave alone. I’m happy to hear that we made the right decisions in your view. The best-selling Logitech gaming keyboard is the orange G15. You’re most welcome chris haven’t had any problems with logitech mice as of yet ( had some with other products) but I’d like to keep logitech up there with the mice at least. The G400 weighs approximately 105g without the cable. Is this mouse interpolated in any way? The G400 goes up to 3600 DPI with no interpolation. Hi, just to say i was always Logitech loyal customer, and all my peripheral devices are Logitech. I think that this is just another excellent product ! I wonder why dont u start makeing USB 3.0 products? USB 3.0 is great for high-volume data transfer, like for hard drives, but is not at all useful for a low-bandwidth device like a mouse or keyboard. Even a USB 1.1 microcontroller is capable of higher data transfer rates than are needed for a mouse or keyboard. There is no benefit to using a USB 3.0 chip in a gaming mouse – only higher costs. I’ve had over half a dozen of your gaming mice over the years, and my absolute favorite is the MX518, I’m on my 2nd one now, and it’s an almost faultless mouse with the absolute best shape ever, so congratulations to you on that. What I wonder is this: have you addressed the lift off heigh in any way? After trying a competitor’s (overpriced yet decent, I’m sure you’ll guess) mouse with a specially adapted lens to reduce lift off height I’ve had trouble going back to my Mx518, it’s just not comfortable wathing the pointer dance, and this remains an issue on all my eight different gaming mats. I’d buy two G400s this instant if I knew this sensor performs better with lift off! Lift-off distance is unchanged from the MX518. Is the surface more like the G5 one or is it glitchy like the original mx518? I really liked the feeling on the G5 a lot… the mx518 one not so much. I don’t know what you mean by glitchy. The keyplate surface has a matte texture that is different from the gloss texture on the MX518. The grip areas are the same soft-touch material as on the MX518. It does not have the dry-grip texture of the G5/G500/G700. Will definitely get a G400 now thanks allot! Sorry I forgot to ask in my previous post does the new sensor have any form of positive or negative accel? and what’s the perfect control speed of it or rather malfunction speed in m/s. The sensor in the G400 has the same tracking characteristics as the MX518 – so there is <0.5% cursor movement distance variance at any hand speed up to 140 inches per second (~3.55 meters/sec). 0.5% pretty small – many of the sensors you probably categorize as having positive or negative acceleration have as much as 5% or more. I am still wondering what sensor is inside. Chris, from your previous statement I conclude that it is not ADNS-3090 but ADNS-3080 with some upgrades. If it is ADNS-3080, what are those upgrades? Higher dpi – I hope its not interpolation. Am I right? Why mouse sensor is such a secret? After mouse premiere I will buy it (no matter what is inside), look inside and I will know what there is and send that info in the internet. I still hope that there will be ADNS-3090 :D, its great sensor and i would be a shot in the leg if you use old (still good) sensor. Anyway, mouse is great but for people who like higher dpi that 1600 (you cant get much more from ADNS-3080) and shape of MX518 it would be better if you put there 3090 (which is good for low and high sense players). While we greatly appreciate your interest in and enthusiasm for our gaming mice, it is our policy not to discuss the individual components that we use to manufacture them. Well thats very nice to hear since I tend to hit about 1.5 m/s with my wrist and 2 m/s with my arm. Thank you very much and I guess I’ll wait for an ambidextrous version. 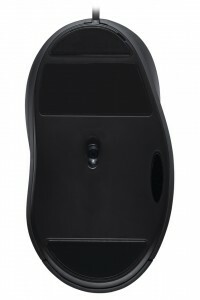 Any plans for an Ambidextrous mouse with either the Avago ADNS3080 or ADNS3090? It is our policy not to discuss products that are not currently or that have not in the past been listed on our website. This looks good! Looking for a successor for my MX 600 mouse as I think the laser sensor has some trouble with the wood surface I’m using now – hope optical will be a bit more forgiving. Also my next mouse must have game features and a reasonable price, and I think you covered that with the G400. The only thing missing is wireless functionality. I’ve seen the mouse can be pre-ordered now. When will I get one when I order it these days? I’m located in Germany. Thanks! The G400 will be available in Europe starting in mid-July. Due to the way importing and distribution works, I cannot give a more specific date than that. Products typically have an easier time making their way through the channel in Germany than in many other countries, though. A bit out of subject but do you guys have any plans for a wired g700 ? That mouse is great but for those who don’t like wireless mouse, the wire is just too rigid. Also can the rubberized coating be improved or removed, that isn’t very nice when that rubs off. Thanks for your commentary. While it is our policy not to discuss products that are not currently or that have not in the past been listed on our website, we do keep requests like this in mind as we develop new products. só tem essa cor ? 1000 hz plug and play ? There is only one color for the G400 – the one you see on the website. Its report rate out of the box is 1000 Hz with no software or drivers required, but this can be changed with the optional Logitech Gaming Software. This kind of makes me sad for replacing my old mx518 (still working despite having worn 1.5mm off the bottom of it and .25mm off my desk) with a G700 as I love the indestructible simplicity and perfect fit of the mx518/G400. I do think the dry grip of the G700 is better than the soft side grip or the gloss top of the mx518 though; it didn’t really bother me except when it collected grime. WIll angle snapping/prediction be an option to turn off an on in the software? Or is it always on? There is no option in the software to disable angle snapping. What is the weight of this mouse? I want to use it play starcraft2. And,is it true that it can change the rate to 125hz from software?My computer is too old.. The G400 is approximately 133 grams, or 105 grams without accounting for the cable. The USB report rate is 1000 Hz by default but can be reduced to 125Hz using the optional Logitech Gaming Software. The G400 definitely looks good. In India, the MX518 has been #1 in its segment, No doubt over it. Users still prefer the MX518 over its competition. Pricing of the MX518 has been ideal for the Indian Market. Full Credits to your team. 2. Any launch date available for the Indian market ? 3. I run a Tech Blog here in India, basically to create awareness of new technology & IT Products available in India. I don’t see a press release available for the G400 yet. Can you link me to it ? That’s nice Logitech, however where is Logitech G3 remake, damn it!? G3 is way better than MX518 shape. Also make a wireless version of Logitech G3, please! Thanks for your feedback. We will keep it in mind as we develop future products. Awesome to get a nice gaming mouse from Logitech that DOESN’T have a tilt wheel. I don’t know how people can possibly tolerate tolerate them on a gaming mouse. I gave up my Logitech G5 many years ago because that irritating tilt wheel made is so hard to accurately middle click. I might have to switch back to Logitech mice now. YES. The upgrade I’ve been waiting for, for a long time. I use the MX518 at work and at home and a non-shiny/bullet hole version would definitely fit better at work. Has the issue with the skin peeling off been completely resolved? My newer 1800 dpi MX518 seems to be ok in the 1.5 years i’ve used it but my older 1600 dpi one is a mess. Are you going to ever make this a wireless or bluetooth mouse? I would pay double for that, especially since this seems to be the only mouse on the current market with a button above the scroll wheel (+ button), which I very much prefer over putting buttons on the far left of the left-click button (which is not very ergonomic IMO). 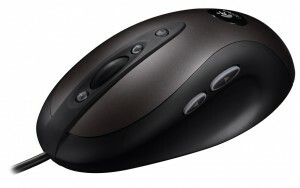 Is there a possibility you will be releasing Mac drivers for this mouse? This is my very favorite mouse (the 518), and having to download 3rd party drivers is kind of a bummer on OSX. Please please please convince your engineers to build some official drivers! The G400 does not have Mac software support. We do understand that many of our customers wish to use our gaming products on Mac, though, so your request will absolutely be passed on to the development team. How come Logitech is not coming out with OS X drivers? Mac users would love this so much, the Apple Magic Mouse cannot hold a candle to this, it does have the touch surface for use with OS X, but its a weak mouse especially for gaming. iMacs now for example can be pre-configured with a trackpads instead of their mouse, personally I think that is what people will want to do, it is what I did when I ordered my iMac recently, I’m eyeing the MX518 but I have to spend another US30 on 3rd party drivers, the Apple mouse drivers don’t cut it, their tracking is very annoying. Anyway, this will no doubt be a hit among gamers and anyone who wants a solid mouse, have a great day everyone! Looks awesome, can’t wait for it to come out! I’ve had the MX518 for 6 years now, bought it back in 2005 and has been going strong since then. I don’t dig what the other guys are trying to do with their mice which is why I love the MX518 so much and never upgraded despite trying newer mice from Logitech & its competitors. I do have one question though, the Logitech logo that sits on the bottom 2/3 on top of the mouse, has it been improved not to fade over time? The logo faded more than halfway for me a couple years ago and I took a knife to remove the remaining paint. The logo has not been changed. What is the prise in euros? The recommended retail price is the same as the MX518 – €44,99. Very, very exited about the new g400. The only thing I wish they would do is give us the option to disable angle snapping, why you would force users to use it on a gaming mouse is beyond me, although, I will still probably buy the mouse. Still very exited! What is the disadventage of using this mouse on a Macbook Pro? I think it will perfectly fine, except for the programmable buttons maybe? Or will there be other problems when using this mouse on OSx? The mouse should work with the standard Mac mouse driver just like any other mouse, but we do not have a custom driver for it. You will not be able to reprogram the buttons either, as there is no Mac button programming software. I’ve been waiting AGES for a good mx518 replacement, and I was happy that you announced it. But then I read the comment about angle snapping, so there will be NEVER a chance to disable it? The angle snapping was always a big minus on the mx518. The sensor does not support changing angle snapping via software. is it possible to adjust the DPI other than 400, 800, 1800 and 3600? With the software installed it is. Will this be shipping out starting June 19th for the people who preorder? It is at Best Buy exclusively from June 19 (may not be at all stores immediately) and everywhere else in early to mid July. I’d rather have one of them recognize both of them. Having a single application recognize all Logitech hardware, saves the consumer the worry, when contemplating a new purchase. Currently I have a G5 and the Logitech Illumated Keyboard. Both are recognized by Setpoint. 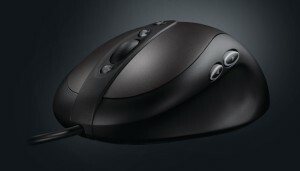 As a seperate note, I really like the visual design of the new mouse. I’ve never understood the fascination with shiny orange, blue, rust etc. I’m no 1337-gamer, but I still want the hi-tech stuff, just in a stylish package (think MAC, B&O and the likes, not generation X Extreme ROFLMAO gaming styling). SetPoint will not recognize the G400. In the past, our mice have not been recognized by our gaming software, which was an issue for customers who owned our gaming keyboards. This is why we migrated the G400 to the gaming software. At this point we do not have any software that recognizes every single device we manufacture. Hey, so it’s June 20th, and I pre-ordered the G400 on June 10th. Does that mean it will be shipping out this week? The G400 is at Best Buy exclusively until early July. It is available at Best Buy. if i preorder this mouse when is the shipping date? when is it available? I do not have a specific date available. The best I can offer is early July. Is there a wireless version coming out as well? 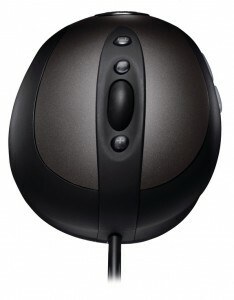 I love my old g7 and I would like to see another rechargeable mouse that looks like this new one. Whether we are working on a product or not, it is our policy not to discuss products that do not have an official launch announcement. It still says “pre order” on the Logitech website. Is the G400 shipping in the U.S. yet? It is at Best Buy exclusively until early July. Hello, has the G400 started shipping yet? I’ve checked the product page and it is still listed as a preorder. Also, when will it be widely available at retailers such as Amazon and NewEgg? I’m extremely interested in this mouse as it addresses my only gripe with the MX518 which is the glossy surface. I’m currently using the G500 and the non-glossy surface is a lot better at preventing a dirty build-up but the shape, sensor, weight, build quality and feel just isn’t as good as the MX518 in my opinion. I’ll be on the look-out for reviews. Thanks for the info though. When can we expect the G400 to ship? Sometime in early July, or you can go to Best Buy. I went to Best Buy in Jacksonville, FL last night and they do not have this mouse in stock? Not every store will immediately have the product in stock. They have been available starting from June 19, though. It will take some time for the product to make its way through the distribution channel. The scroll wheel has the same ratcheting profile as the MX518. It is not a free-spinning wheel. The G500 is a higher-end product than the G400. It has a 5700 DPI laser sensor, three buttons on the thumb, two extra buttons on the index finger area, the HyperFast scroll wheel that can switch between ratcheted and free-spinning modes, a braided cable, and weight tuning capability. Aw, I know there’s a massive market for this level of product, but I’ve been waiting ages to get a new high-end mouse (I currently have a G5 but want something with more controls!). So I’m waiting for either a wired version of the G700 (great mouse) – or maybe a completely new design (with lots of buttons/controls), definitely wired. Thanks for your feedback. We’ll take it into account as we develop future products. Why should I wait for the G400 instead of the G500? I really tried to find a reasson becouse i prefer the design. But their arn’t any technical innovations, are their? Even the dpi is lower. So i would say it must be cheaper (would be defintly a reason) but it isnt the g500 is now about 2 years old (not sure) and so the amazon.de prize is down to 41,80€ compare to the G400 with 41,40€ (expected). So I’m bit of confused… and will not belive that a 2 year old mouse is as good as a 07/2011 released one. While the G400 is an excellent mouse and performs incredibly well for all types of games, it is absolutely not intended to be a replacement for the G500. Its feature set, as I detailed in an earlier response, is not as robust as the G500’s. This is why the recommended retail pricing for G400 is €44,99 while the recommended retail pricing for G500 is €69,99. What retailers choose to actually charge for the product is their decision, and we do not have any control over it. I also have a question for you Chris. I think you forgot to mention this in the spec- part. It’s the lift distance of the mouse. I’m the type that hates if the mouse tracks when you lift it, so this is very important to me. Thanks in advance, and again good job. We do not list an official liftoff distance for the G400, but it should be the same as what you would find on the MX518. Just wondering: how long is the cable? I couldn’t find a mention of it in the specs. The cable is 6 feet long. I’m curious, but is the 3600 dpi achieved by interpolation? It is not interpolated – the sensor is 3600 DPI natively. I am currently using an early version of the MX518, bought in May 2005 (Sweden). Does my version have angle snapping, and can I expect the G400 to have a fundamentally similar behavior to my mouse even though it is such an early revision? The angle snapping behavior is identical to the MX518. You would notice no difference in that regard. I am a big fan of gaming stuff in general and already spent a decent amount of money in Logitech products (keyboards and mice). Being a proud owner of a good old Mx518 (among so many others), I got pretty excited about knowing it would get a successor. The G400 kinda reminds me the Steelseries Xai / Kinzu, and according to me you’ve just gone from an extreme design to another (crazy looks –> as simple as possible). Aren’t you afraid of loosing some customers due to the fact that the first impression may not seduce the gamers that liked something that “strucks”? Would also suggest you to think about an MMO mouse that would FIT a common hand? – Logitech G700: too heavy, when wired the cable tends to keep the mouse in it’s alignment, doen’t try to create an MMO mouse and replace the Mx1100 at the same time… and still the best out of these 3! Gonna buy the G400 within the nexts weeks of course, need to complete my collection. Thanks for your detailed comments. The paint color decision was made after reviewing a significant amount of feedback from existing customers as well as people who did not purchase a Logitech G-Series mouse. We are always trying to make sure our products match the tastes of our customers, and the paint scheme on the G400 reflects that. Your suggestions and insights into our gaming mice are greatly appreciated. We aren’t at liberty to discuss our plans for future products but feedback like this always plays into our design decisions. this mouse looks very promising to me. But one question is itching me. Does negative or positive acceleration occur at high moving speed. There is less than 0.5% variance in cursor movement vs sensor movement distance at any hand speed – same as the MX518. This means there is no perceptible negative or positive acceleration. Does G400 automatically set itself to the 1000hz or do you need to change it via software comign with it? Out of the box the G400 is set at 1000 Hz report rate. Could you please tell me if this mouse has more or of a percentage of less error correction angle & snapping compared to the newer 518? Is it possible to disable this or could you add a driver update to alllow for an option to turn it off? I’ve only ever used logitech mice and I will stay with this g400 but I would like this option. The G400 tracks identically to the MX518. There is no way to disable the G400’s angle snapping feature via software, so there can be no software update that enables such functionality. Hello, I was wondering if it would be better to buy the G400 or G500, seeing as the “As fast as a mice can go on USB”.. Is this the same on G500? Wich options does the G400 has more then the G500 and visa versa? The G500 is a higher-end mouse than the G400 and has a few more features than those found on the G400. For example, the G500 features our dual-mode scroll wheel with horizontal scrolling capability, weight tuning, and two more programmable buttons than the G400. The G400 uses an optical sensor as opposed to the G500’s laser sensor, and it weighs less than the G500 as well. Both mice can communicate over USB at up to 1000 reports per second, and both have a similar shape. So really it comes down to your personal preference – both the G400 and the G500 are excellent mice for any type of game you’d want to play. Looks to be a very solid release. Going to try this out over my G500. Optical with 1000hz poling rate out of the box! The time has come to change my very old MX 510 (which has served me and still is from 2003 or 2004). Will the G400 feel pretty much the same to me ? And could you explain the “angle snapping” thing…not familiar with this…will it affect the mouse behaviour much? The MX510 has angle snapping as well – though to a somewhat smaller degree than the G400 or MX518. In practical terms, your gameplay experience should be pretty much the same at the same DPI. This is great news. I’ve had the MX518 since it came, and it still performs like it did then. I’ve considered buying more of it to be sure to have it even when it goes off sale, but now I don’t have to. But I have a driver problem with the MX518, and I’ve had it since the beginning, on all my PCs since then, so not just one Windows installations problem, or one set of hardware etc..
I’ve always used the buttons that are just above and below the wheel to scroll, I don’t change the DPI on it while in use, or ever, but sometimes in Windows when I click the buttons to scroll, it changes DPI instead, this is driving me nuts. Is the G400 the same or is this fixed? Yes, I have the newest drivers, and it’s never been fixed, it’s been like this since it first was available. I have only done limited testing of this personally, and I had not heard of it before you brought it up just now, but from what I can tell from my testing and what I know about how the software works it should work properly. If it does not, then that is an issue we need to correct in a future build of the software because the buttons should only do what you program them to do. I wrote a long comment here, but now I can’t find it :/ Was it removed? I was out of the office at the PAX Prime game show and just got time to get back into approving and replying to comments today. Sorry for the delay. Will Logitech release a firmware update for the G400 to disable angle snapping? Is Logitech working on the jitter issue of the G400 when the software is installed? Many people have reported the mouse skips pixels/”jitters” when the Logitech Gaming Software is installed and this is a shame because some people need to program the buttons on the mouse to their preference. Otherwise a great mouse, color and design. Thanx. It is not possible to update the G400’s firmware over USB, so there will be no firmware update posted. We have identified the root cause of the cursor behavior you are describing and there will be a software update in the near future that will make the G400 track with the software running the same way it tracks without the software running.